Presidential elections are the breeding ground for hyperbole, but with regard to the foreign policy legacy that will be left to the next president by the current occupant of the White House, I believe it is fair to say we are facing one of the most dangerous periods in living memory. Though born in the United States, I am a dual American and Israeli citizen, having been raised and grown to manhood in both countries. When I was of draft age I lived on a Kibbutz in Israel, where I had gone to high school, and was drafted into the ranks of the IDF in time to serve in the Yom Kippur War in October of 1973. I have been a soldier in the Israel Defense Forces for 42 years, serving both in the regular army and reserves and participating in six wars during that period. In my career I have served in the Israel Air Force, as well as its ground forces. 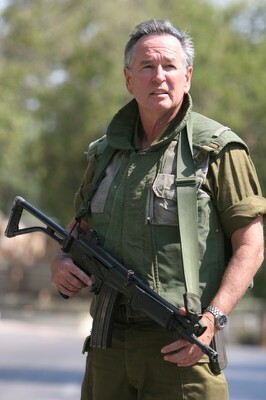 I have been in charge of all Israel Air Force training films and have been an armored infantry sniper and squad leader. Since 2002 I have served with the Military Spokesperson Unit and have been a spokesperson for the IDF in multiple conflicts, as well as a military analyst on virtually every major media outlet in the U.S. and Western Europe. Last year I had the great privilege of being attached to one of Israel’s most elite combat units, The Givati Brigade, and became the oldest officer, at the age of 68, ever to qualify to wear their purple beret, presented to me personally by the Brigade’s commander, Col. Ofer Winter, who, I believe, almost single-handedly saved the State of Israel from one of the most existential threats it has ever faced. Someday, I hope the truth of his contribution to Israel’s security will be fully told.